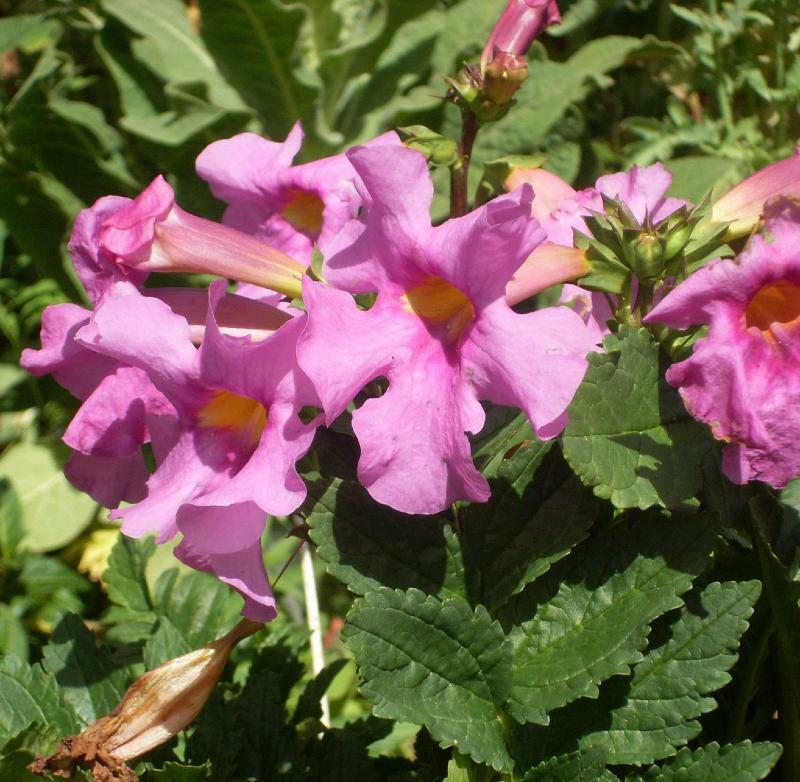 Incarvillea delavayi is a perennial with spectacular exotic flowers. Stout stems bear large exotic trumpets of rich rosy-red flowers in June-July. 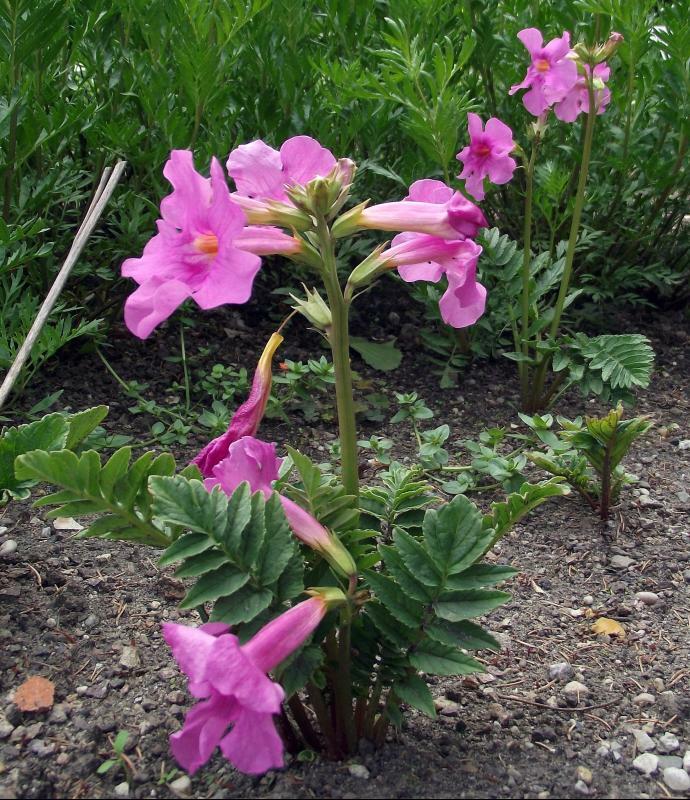 The flowers appear before the deeply divided leaves. Hardy and very easy to grow.